Monday - Saturday, 8:30 a.m. - 6:30 p.m. Thanks for visiting Toby's Appliance Service, LLC. 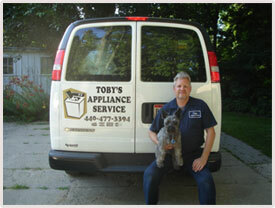 Toby's Appliance Service is a family owned and operated business. Toby graduated from ITT Technical School in 1995. He then pursued the Appliance Industry working for several well known business's such as Montgomery Ward, HH Gregg & Maytag. 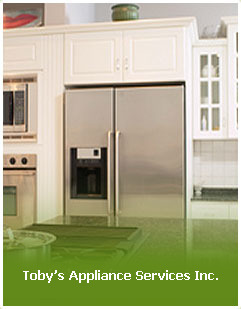 In 2005 Toby opened Toby's Appliance Service, LLC. and has been giving excellent service to the local areas. For more information regarding service, please feel free to contact us at 440-477-3394.